Adverts "Red Bus Pass - still only �a month - From Underground stations, Bus garages, Travel Enquiry Offices and many agents of National Travel' side adverts. 'Red Bus Pass - Still only � front adverts and 'Please let the bus go first' rear advert. 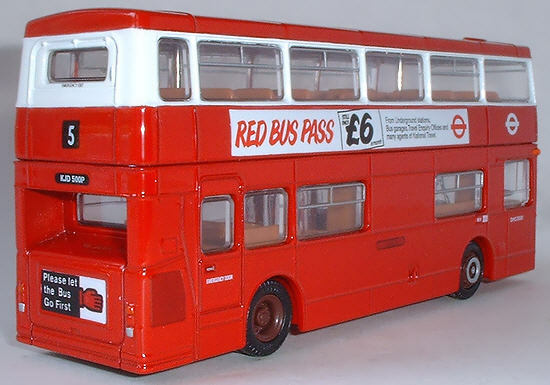 Livery Red with white upper deck window surrounds and roundels. Yellow front entrance doors. Notes Part of Code 2 gift set 99921. 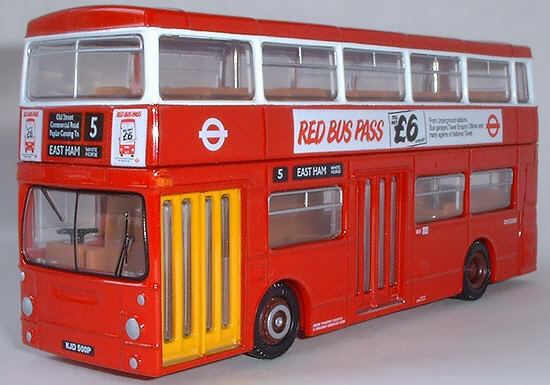 Also released as an individually boxed model by the London Transport Museum.